The KTM 390 Duke delivers in a big way for such a little bike. It wins in the fun stakes no matter the competition thanks to its light weight, nimble handling and perky 44bhp single-cylinder engine. The 390 sits between the learner-legal KTM 125 Duke and the fully-grown KTM 690 Duke and serves as the ideal stepping stone for A2 licence holders on their way to more power. That’s not to say the Duke isn’t fun to ride if you have a full licence, it’s a cheap-to-run traffic slayer around town, and its big bike looks will save your blushes in the work car park too. 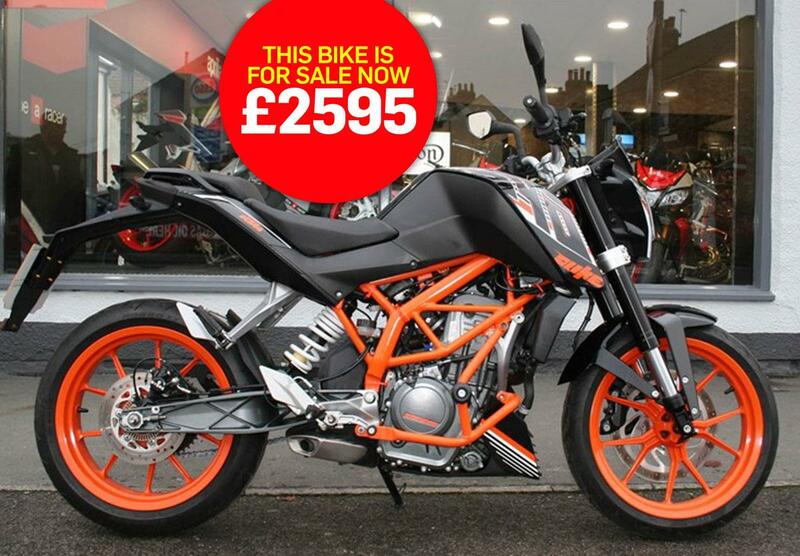 Teasdale Motorcycles in Thirsk say: "This KTM 390 Duke is in immaculate condition with just 10,326 miles on the clock. It is a lovely little one-owner motorbike, which runs, rides and looks like new. "The 390 Duke is great fun to ride and makes a great first bike. It will be supplied fully serviced with a two year or 5000-mile warranty." Find a KTM 390 Duke for sale.